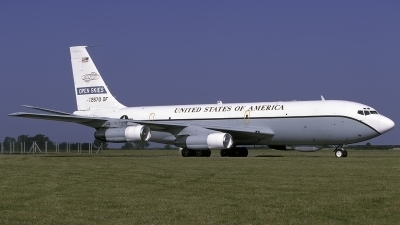 Scanned from Kodachrome 64 slide. 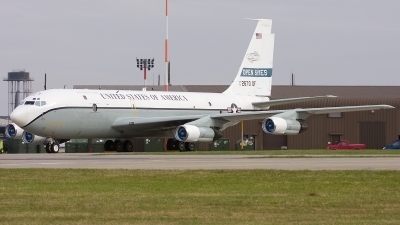 45th RS / 55th Wg - Offutt AFB, Nebraska. 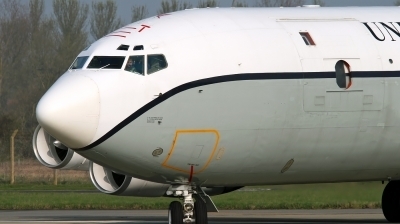 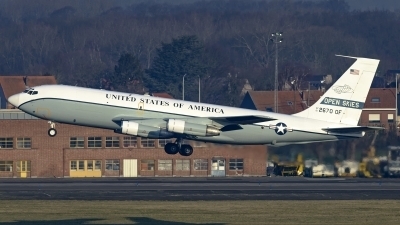 "OSY12T" seen holding short of RWY29 at RAF Mildenhall prior to departing to Brussels. 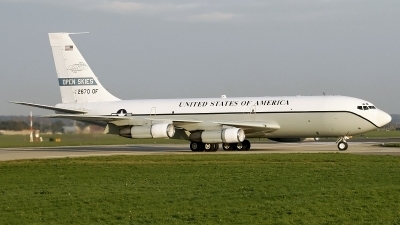 45th RS / 55th Wg - Offutt AFB, Nebraska. 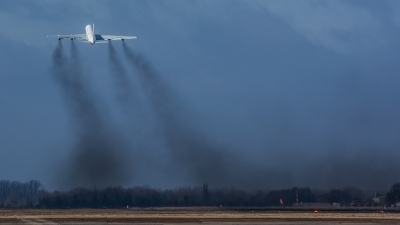 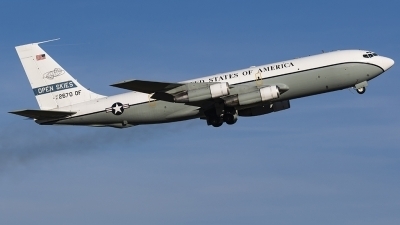 "OSY12T" departs RAF Mildenhall leaving a trail of smoke in its wake. 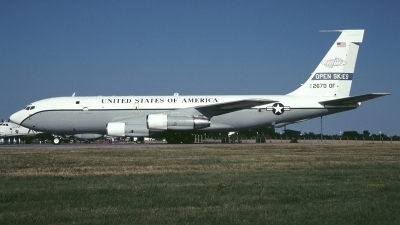 45th RS / 55th Wg - Offutt AFB, Nebraska. 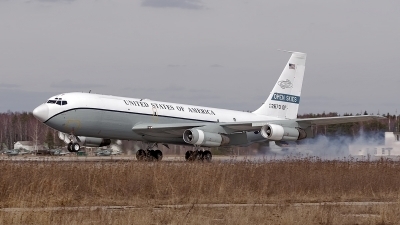 Open Skies seen rolling to the end of RWY29 at RAF Mildenhall on a crisp winters afternoon. 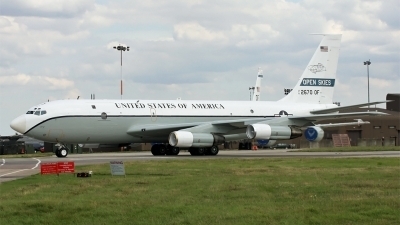 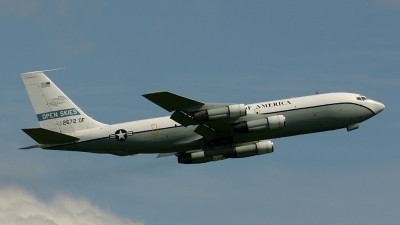 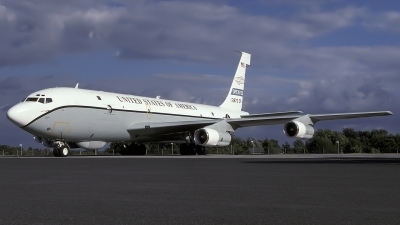 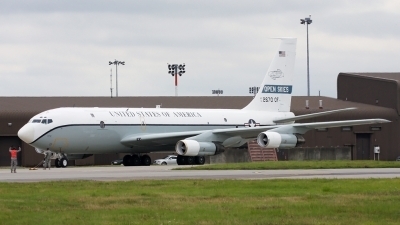 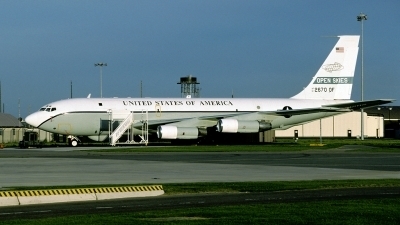 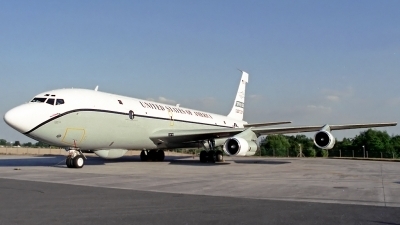 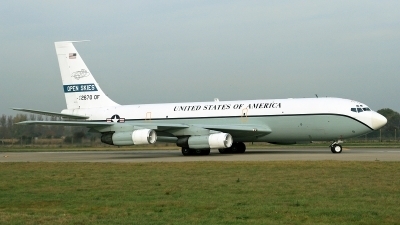 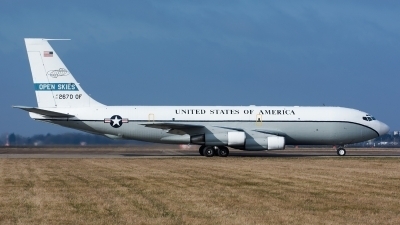 This was the second OC-135B to arrive at Mildenhall that day. 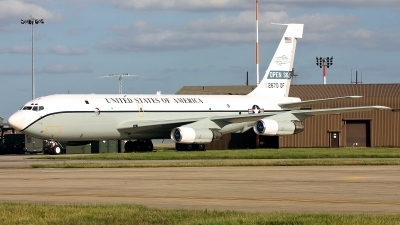 Open Skies 12 Tango taxis to runway 11 at RAF Mildenhall after a quick "splas and dash"
OC-135B assigned to 55th wing "Fightin' Fifty-Fifth" / 45th reconnaissance sq. 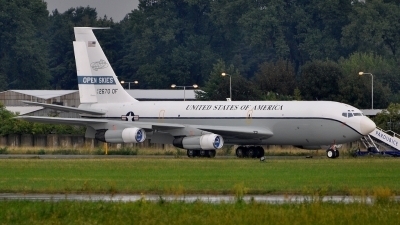 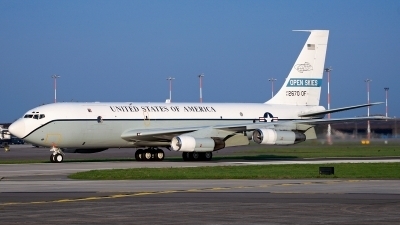 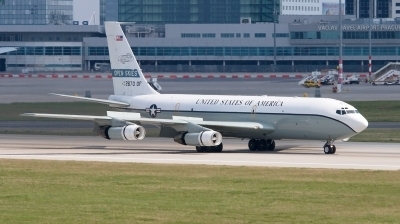 "Sylvester" from Offutt AFB (USA, Nebraska) visited Czech republic during one of its "Open skies" mission. 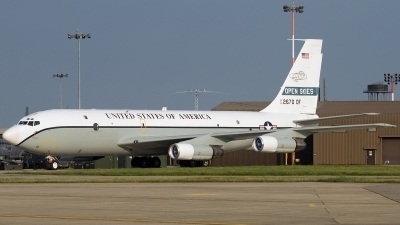 A shot of OC 135 2670 on the rare occasion of having both OC 135's on the deck at Mildenhall at the same time. 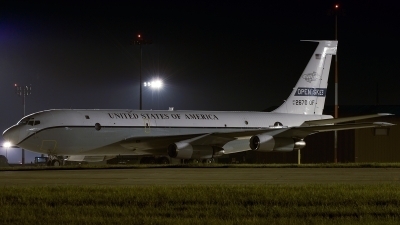 Picture taken in the last light of the day. 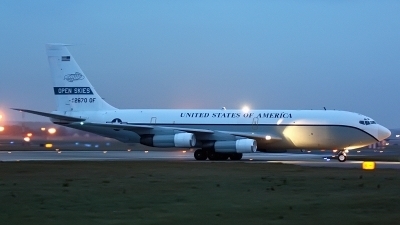 I love those evening colours!